This Alumni Association (and this website) was organized to serve the Alumni of Delta Pi fraternity of Bloomsburg University. Let's be clear: this organization will give advice to our Active Chapter if asked: but we DO NOT have any direct ties to this group as an advisory body. The Active Chapter is 100% autonomous, and free to run their business in any way they see fit. This organization exists EXCLUSIVELY, at the behest, and to benefit the Alumni of Delta Pi Fraternity. We are not Amazon. Sometime it will take some time to fulfil orders. Many times, your purchases will be fund-raisers for the actives. Your patience is appreciated. Please read all product descriptions before purchasing. We want everyone to get exactly what they are expecting. Any product purchased on this website is of type and quality discribed on the corrisponding sales item description. Any potential new clients/customers are encouraged to ask any questions they may have about products, prior to the sale, using the "Contact us" page of the website or links supplied for that purpose. As such, it is the policy of this organization that all sales are final. If there exists some damage, or problem outside of the control of Delta Pi Alumni Association: we will endeavor to work with our clients/customers to rectify the situation. 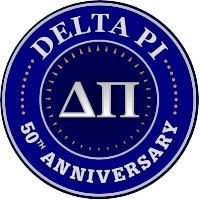 Some events offered by the Delta Pi Alumni Association may be effected by weather. Events like Homecoming or Greekfest weekend, are held "rain or shine". Events will only be cancelled if the continuation of the event is deemed hazardous for our clients. In most cases, all costs have already been incurred by the time a cancellation could be decided. As a result of these conditions, it is unlikely that any refunds will be issued in the event of a cancellation. This social fraternal organization punctuates our brotherly association with events. We believe that getting together, gives us a chance to relive old memories...and make new ones. As a result, our Social will typically plan a few events per year. Homecoming is a staple. Other events include ball games, golf, bar crawls, concerts, reunions and anything that seems of interest at the time. Some years have more events than others. There is no set method to the madness. As with all of life: don't bite off more than you can chew. Some of our events can include fairly strenous activities. Some will be outside. Please select your activities according to your ability. Please make any pre-existing conditions of concern known to others. Delta Pi takes no responsibility for injuries or damages resulting (directly or indirectly) from any of our events, vendors, or venues selected.